Solve the challenges of unruly, medium to coarse hair. Mega Sleek Conditioner with 24 hour Smooth Repair* Technology™ moisturizes and smoothes while helping repair the look of damage, detangles and controls the look of frizz with all day humidity protection*. *Combing test when using the system of shampoo, conditioner and styler vs a non-conditioning shampoo. 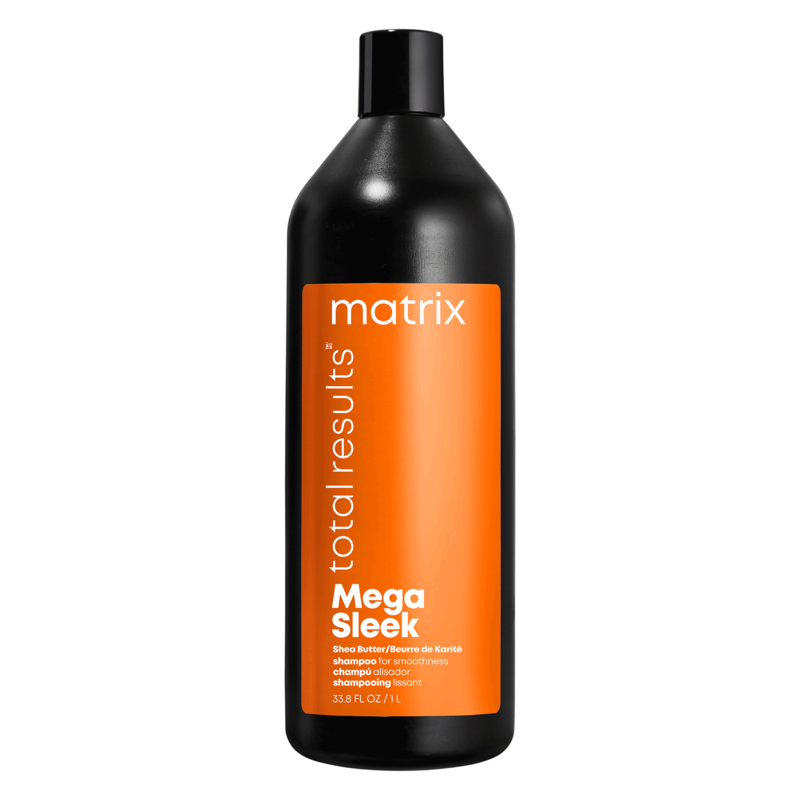 Matrix Total Results Mega Sleek Shampoo is for unruly, medium to coarse hair. 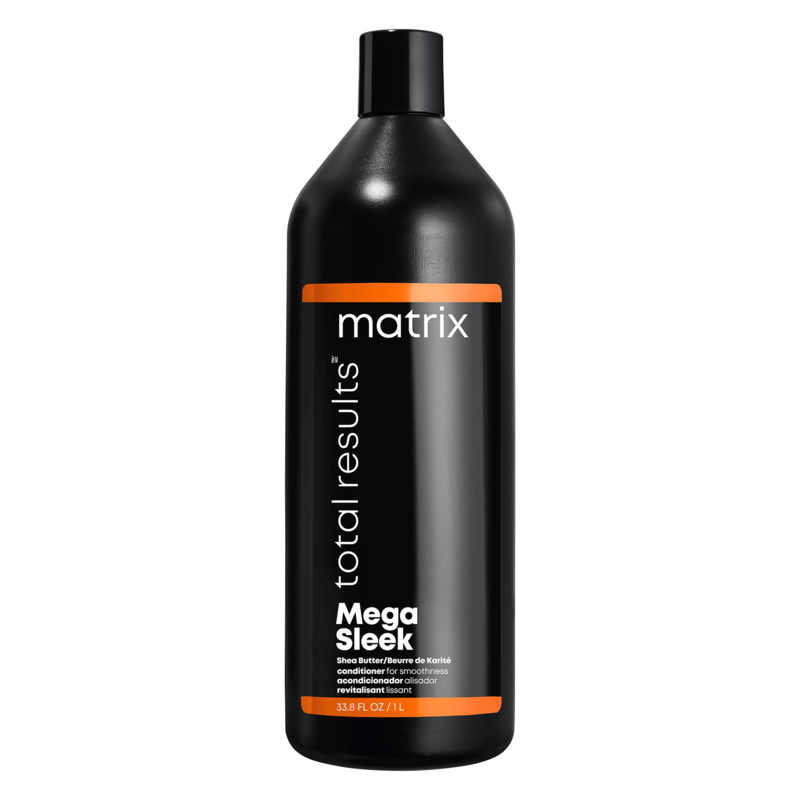 Matrix Total Results Mega Sleek Shampoo cleanses as it moisturizes and helps repair damage. 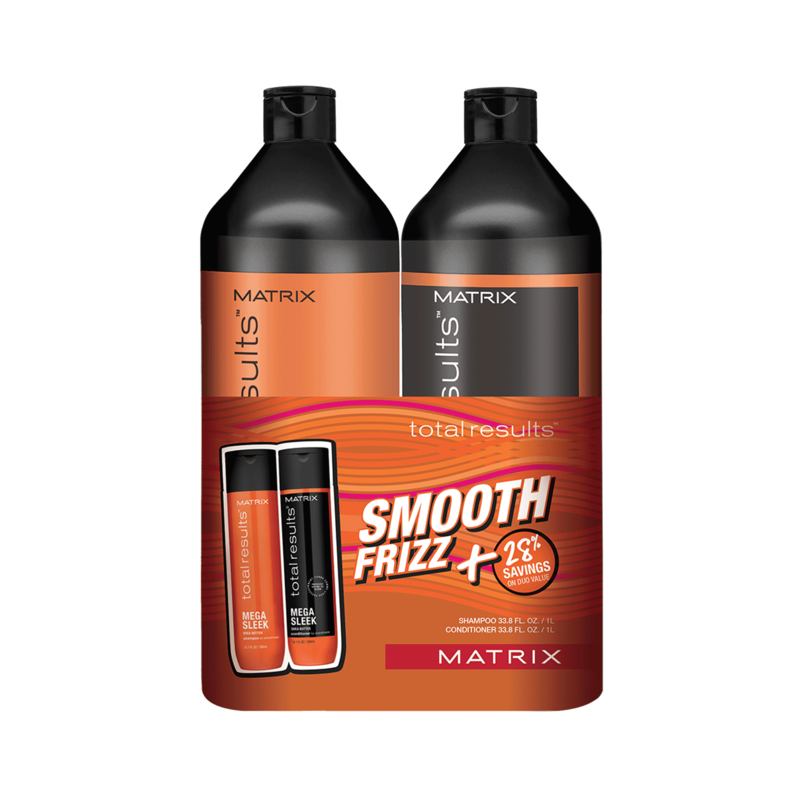 Smooths and controls frizz with all day humidity protection.